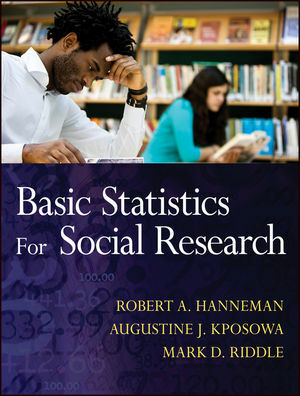 Basic Statistics for Social Research teaches core general statistical concepts and methods that all social science majors must master to understand (and do) social research. Its use of mathematics and theory are deliberately limited, as the authors focus on the use of concepts and tools of statistics in the analysis of social science data, rather than on the mathematical and computational aspects. Research questions and applications are taken from a wide variety of subfields in sociology, and each chapter is organized around one or more general ideas that are explained at its beginning and then applied in increasing detail in the body of the text. Ancillary materials for both the student and the instructor are available and include a test bank for instructors and downloadable video tutorials for students. ROBERT A. HANNEMAN is a professor of sociology at the University of California, Riverside. AUGUSTINE J. KPOSOWA is a professor of sociology at the University of California, Riverside. MARK D. RIDDLE is the Director of Institutional Research at Antioch University Los Angeles.